Brady Hoke said he would have walked to Michigan from his home in San Diego when he was first contacted by UofM back in early January. He interviewed and accepted the head coaching job without ever discussing compensation. Michigan AD Dave Brandon joked during the presser that they would get around to the financials in due time. 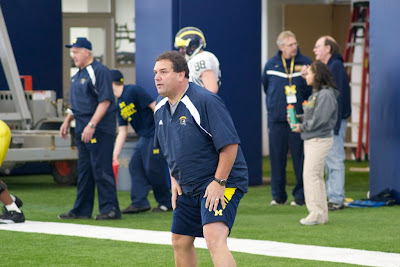 Well, that time came to an end on Monday, when Hoke signed a six-year deal worth up to 3.25 million dollars a year. Brandon said Hoke will be paid $2 million this year and his base salary will increase by $100,000 each season. 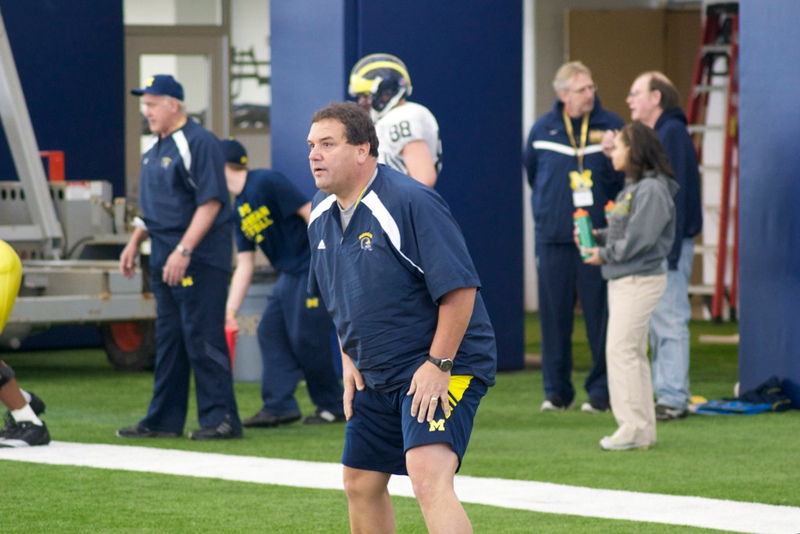 Hoke will earn a $1.5 million "stay bonus" after his third year and another $1.5 million "stay bonus" if he is still leading college football's winningest program in the sixth season of his contract. "The economics were worked out in minutes -- not hours or days," Brandon said. "It was quick, easy and stress-free, but it took several weeks to get done because we let the lawyers do their work with the contract language." What I found interesting in the article, and something I didn't know was that when Brandon called to offer the job to Hoke, Brady didn't answer the phone because his wife wasn't there with him.